I don't think we're in The Neverhood anymore, Beak-Beak. A fan of weird? A fan of adventure? Prepare yourself to crash into an alien fortress of pure bizarre! 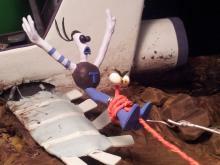 Armikrog, a claymation wonder that is coming over a decade after it's older brother. With such a long wait from fans, here's 10 interesting facts about Armikrog - the claymation space adventure. 1. 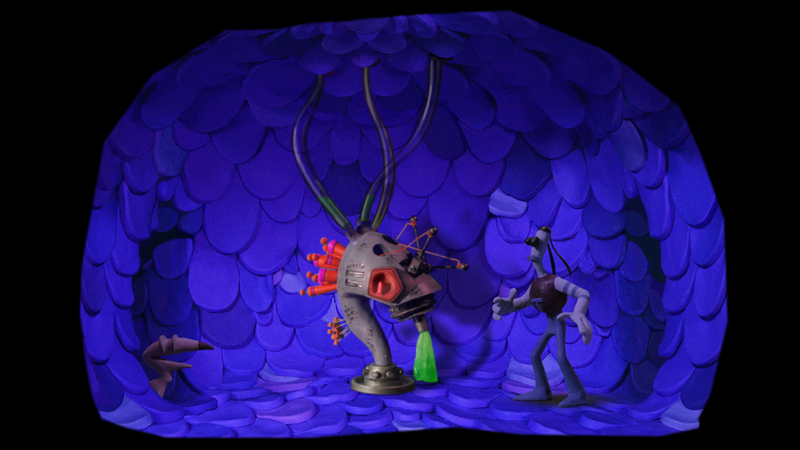 Armikrog is the spiritual successor to The Neverhood. Released in October 31st, 1996, The Neverhood was a game made entirely with a claymation style. 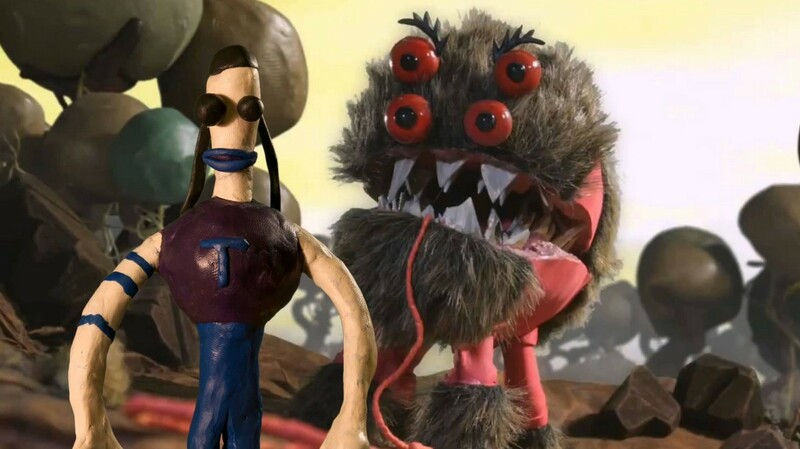 Just like Tommynaut, the main character of Armikrog, The Neverhood featured a similarly designed protagonist named Klayman. 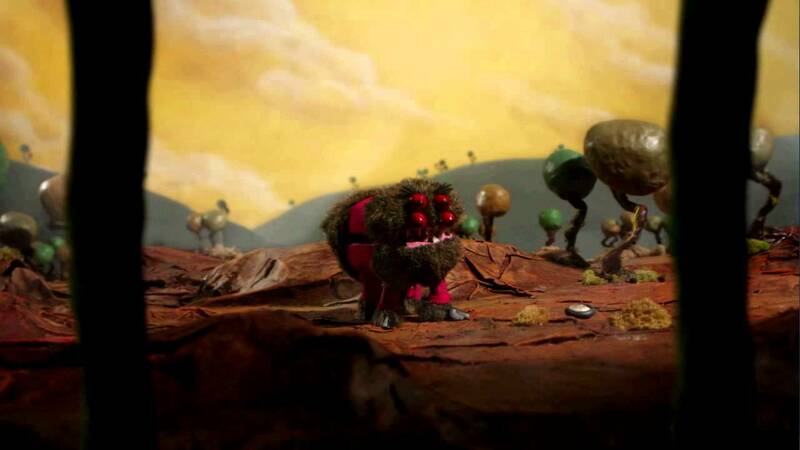 Both games feature bizarre, alien worlds crafted entirely in clay. 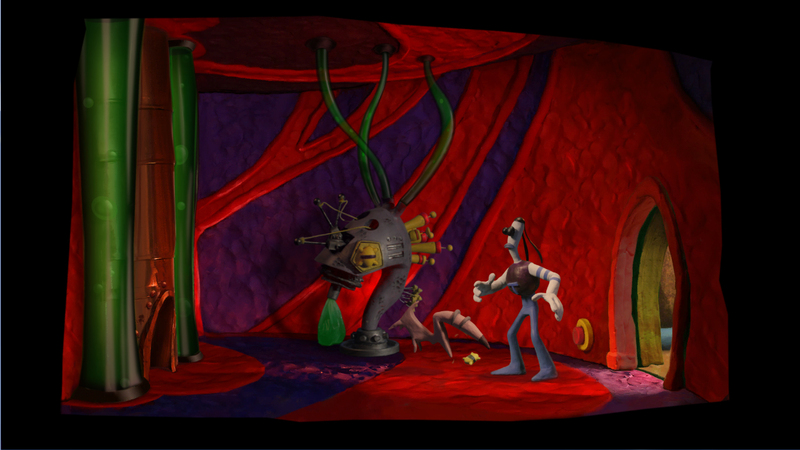 Players will have to traverse the foreign terrain in Armikrog in the same manner as The Neverhood: puzzle-solving and good old fashioned point-and-click adventuring. Armikrog already carries its weight over from it's older brother, and that's not all that is backing it up as it rides into 2015. The name might not be familiar to most, but rest assured, Doug TenNapel is a legend in his own right. Not only did he bring The Neverhood to PC gamers, but most out there may recognize him from his more famous games: Earthworm Jim 1 & 2. That’s right, the unassuming man you see above is the creator of Earthworm Jim, and you can see concept pictures showing Tommynaut, Klaymen and Earthworm Jim all together. As if that weren’t pedigree enough, Doug TenNapel made an appearance on Nickelodeon with the show “CatScratch” to show even more of his unique style off. It goes without saying that his track record is impressive and many fans are hoping it will show in Armikrog. Most wouldn’t consider a claymation point-and-click adventure game to have a strong voice cast, if one at all. 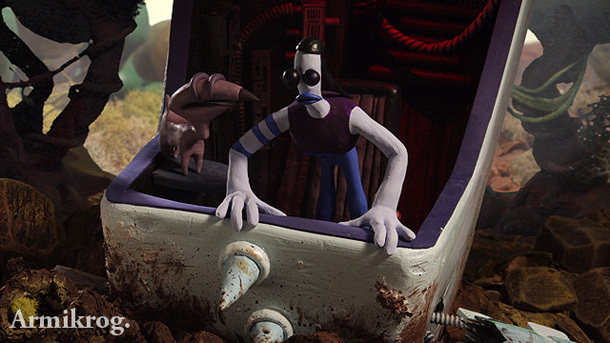 However, Armikrog continues to show some interesting design choices with their current roster of voice actors. Michael J. Nelson, of Mystery Theater 3000 fame, will be the voice of the titular Tommynaut. Rob Paulsen, who you might know better as Pinky from Pinky and The Brain, will be playing Tommynaut’s blind dog Beak-Beak. Jon Heder (PVP), Veronica Belmont (Mahalo, Fallout New Vegas), and Jon Heder (Napolean Dynamite) have also been confirmed as voice actors. As of now, their roles have not been revealed. No matter who they end up cast as, the odd group is sure to provide another dimension of bizarre to Armikrog. Terry Scott Taylor will be making a return on the soundtrack for Armikrog. Lauded as an excellent songwriter, Taylor composed the soundtrack to both the original game The Neverhood, but it’s revisited soundtrack as well. 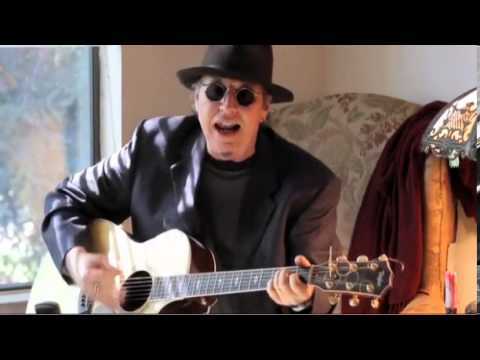 He is the founder of several bands, including: Lost Dogs, The Swirling Eddies and Daniel Amos. Any fans of the extremely unique soundtrack from The Neverhood is sure to be pleasantly surprised with his return. As a teaser, Pencil Test Studios and Doug TenNapel released a sample track on Youtube called “Boo Ha ha” – you can check it out below! Tommynaut is confident in his abilities – Beak-Beak is more skeptical. The Neverhood became a cult classic for many reasons, largely for its unique aesthetic and odd premise. However, diligent players could find remnants of a story hidden within the world of Neverhood if they found all the hidden discs in the game. Fans of the predecessor are already speculating that there will be tons of Easter eggs in Armikrog. The space adventure in a hostile world already has a setup in the opening cinematic with a simple premise. Tommynaut and Beak-Beak crash, they are attacked by hostile locals and then left on their own – the story most likely is hidden in the details. Only Tommynaut can handle the heavier stuff. If the voice actors weren't an interesting enough aspect, Armikrog will also let you switch between the two main characters. Tommynaut, the straight-man desperate to be a hero and Beak-Beak, the hilarious voice of reason, will be used to solve puzzles and navigate the alien army base. Tommynaut is bigger and has been shown in gameplay to handle the heavier puzzle portions. Beak-Beak is able to fit into smaller areas and has a unique “vision” to his advantage. Any further abilities have been hidden by Mike Dietz, thus far. If you've ever wandered what a dream-team between Riff-Trax and Pinky would be like, you no longer have to wonder! 7. The Kickstarter Brought The Sequel Fans Had Been Waiting For. For over a decade, a sequel to The Neverhood was demanded by many dedicated fans. The original team, unfortunately, was bound by EA owning the rights to it and not being interested in doing anything further with it. Testing the waters with a Kickstarter, Doug TenNapel and his crew found out that demand was still high. While Armikrog is not a direct sequel, it is the next best thing, going back to the spiritual successor title. Raking in almost a million dollars in backing, the anticipation for it is quite high. 8. There have been rumors of a movie (already)! A small note was put out that the newly founded Frederator Films had picked up the idea of a film about The Neverhood. On the last update, Doug TenNapel confirmed that it was in developmental hold. 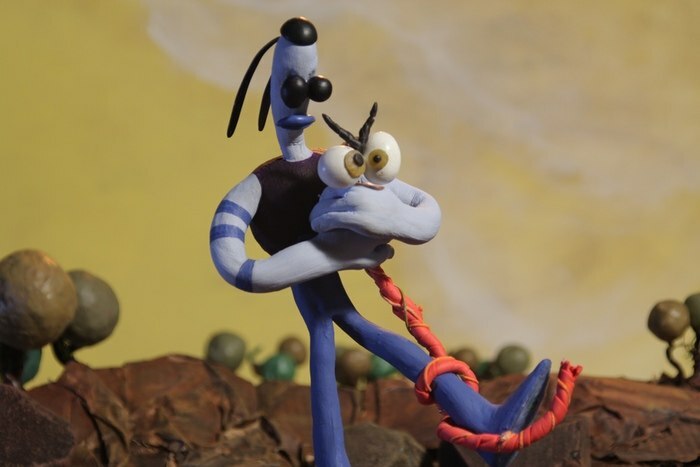 While there have been no updates on this film, fans are already prodding about the possibility of seeing a full-length film about Armikrog being considered as well. For right now, the only release beyond the game will be the soundtrack. 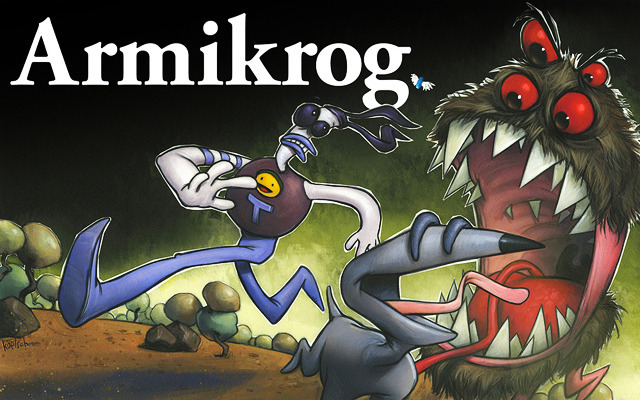 It is expected that, pending success of Armikrog, fans may very well get their wish. An interesting aspect to the crowd-funding approach is, as put by Mike Dietz, “a unique access to fans and their feedback”. Through each step of the process, Pencil Test took the fans into account and even utilized some of their ideas. Stop-motion is an immense undertaking. Each movement, set and scene requires hours upon hours of work, and Pencil Test did not cut any corners. 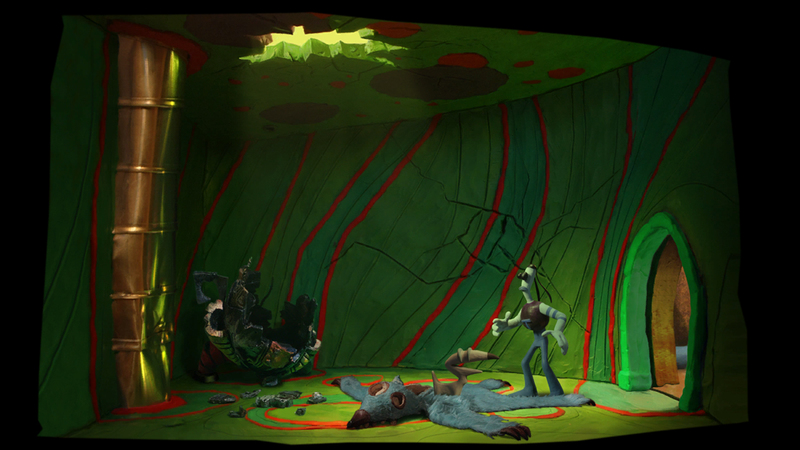 Mike Dietz's gameplay of Armikrog shows fluid animation and the consideration the developers took. Mike Dietz has already mentioned that he and his crew, including Doug TenNapel have ideas bouncing around in their head. They've discussed further usage of the style, including a hand-drawn platform game that Mike Dietz has not made further comment on. If you are a fan of the style you've seen here, in the trailer or just in games that are a bit of a trip, Pencil Test appears to be the studio who will provide some interesting titles in the future. 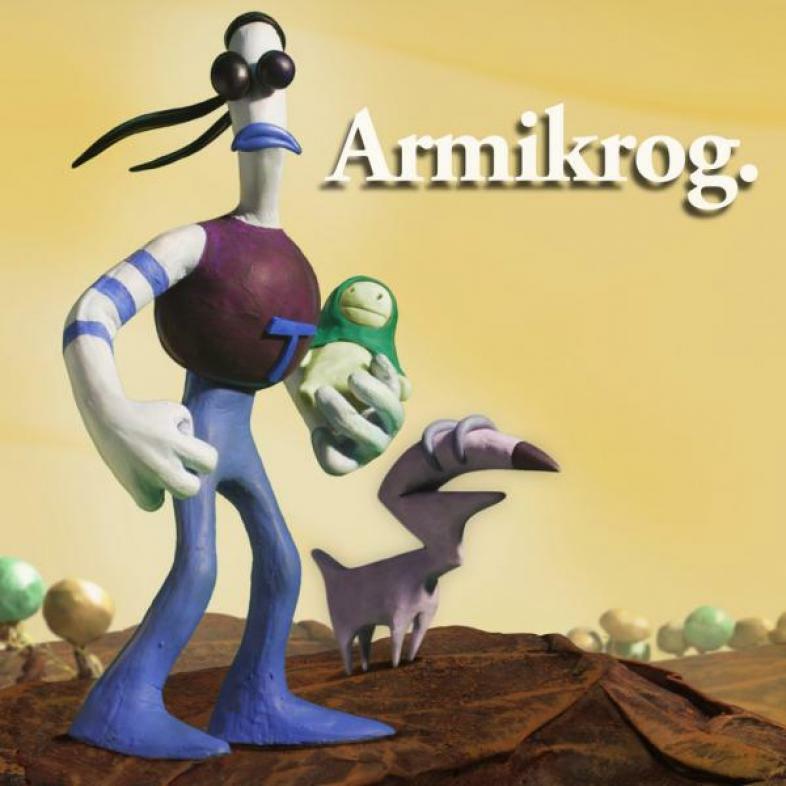 Does Armikrog sound like your type of game? We'd love to know what your thoughts are on the game in the comments below! Armikrog will be releasing on PC / Mac / Linux on Steam August 18th 2015. It will see a release on the Wii U, Android, iOS and eventually, the PS4.